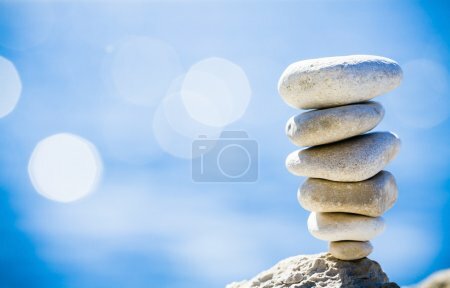 Stones balance, pebbles stack over blue sea in Croatia. Stones balance, hierarchy stack over blue sea in Croatia. Spa or well-being, freedom and stability concept on rocks.